This sponsored post is written in collaboration with Gatlinburg Tourism. All opinions of the stay and my experience in the inn are my own. 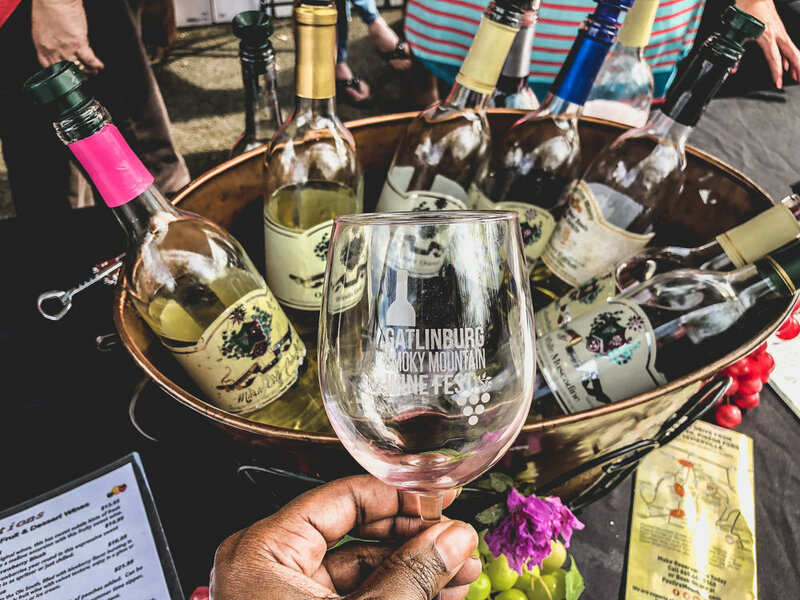 This April, I attended the 2018 Gatlinburg Wine Festival and I’ve never been so eager fill my suitcase with so many bottles of wine! 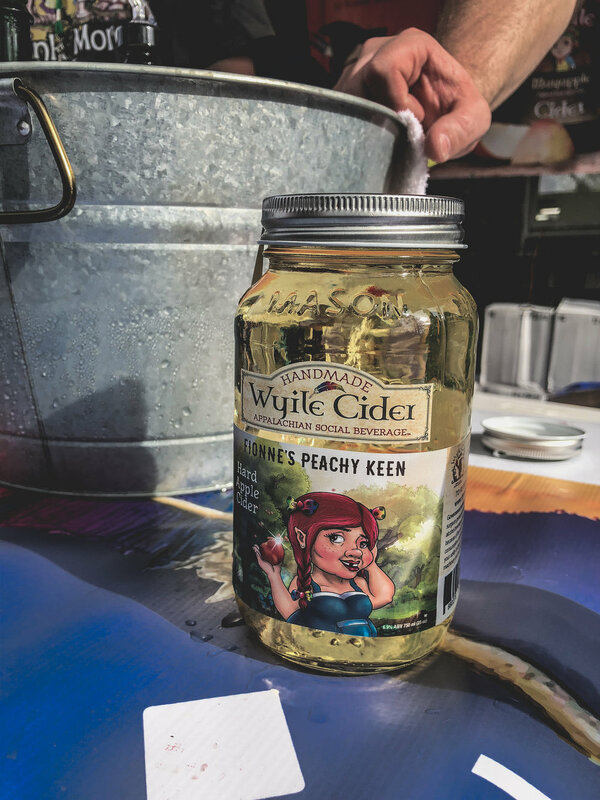 The annual Gatlinburg Smoky Mountain Wine Festival draws hundreds of travelers from around the country each year for an annual gathering of Tennessee wineries since the festival’s inception in 2013. The event is organized by the Gatlinburg Convention and Visitors Bureau and the Tennessee Department of Agriculture and coordinates with 17 of Tennessee’s best wineries to give festival goers a taste of Tennessee’s wine industry. The two-day 2018 Gatlinburg Wine Festival consisted of a happening party bus, learning and tasting experiences and a vino filled main event right in the heart of downtown Gatlinburg. 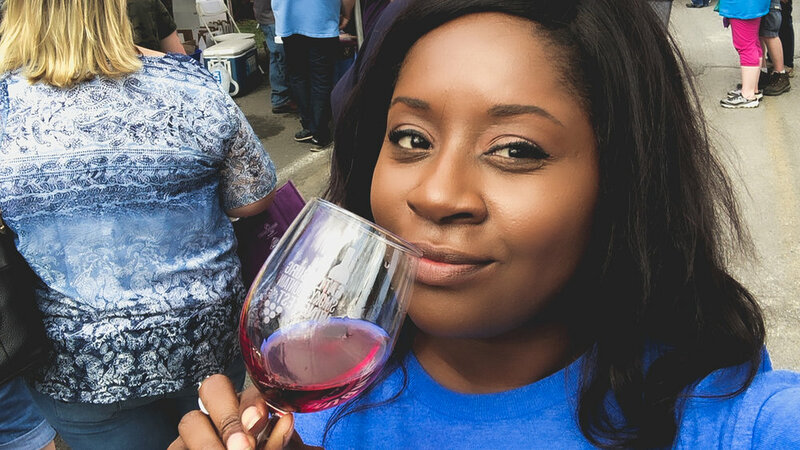 Here is a recap of my wine filled weekend at Gatlinburg Wine Fest and a list of some of the best wineries in Tennessee. I’d never been to Gatlinburg before but had heard such great things about the mountain town, that it was on my short list of locations to visit before summer. One of the best reasons I’ve been given by its many raving fans for returning so often (in addition to its awesomeness): proximity. For those of us southern dwellers, G-burg is a breezy 3.5 hr drive from Charlotte, NC; 2.5 from Greenville, SC; and easy 1.5 from Asheville. If driving isn’t your thing, you can hop on a plane and arrive before you’ve had a chance to finish your magazine. I’m a road tripper at heart so I opted for the drive. I also knew I would want to bring back lots of wine and didn’t want TSA to interfere with my plan to restock my wine shelves at home. So that Friday night, I arrived in the beautiful mountain town of Gatlinburg, Tennessee with a wine opener in my bag and a suitcase full of bubble wrap to protect my precious bottles from rolling around. Shortly after arriving in Gatlinburg, I checked into the Courtyard Marriot, just a few steps away from all the action in downtown. I hung out in the rocking chairs and contemplated retiring right then and there...until it was time to grab a glass. We kicked off on Friday night with a private winery tour and tasting event host by the Courtyard Marriott Downtown Gatlinburg where blogger Patrick T. Cooper and I met up Gatlinburg CVB PR Genius, Marci Claude, for a registration and wine pre-gaming before boarding the party bus. On board, we visited 3 wine shops for education about the wine in the Smoky Mountains, to taste delicious samples of wine from a variety of Tennessee wines and small dishes from some of the best restaurants in the Smoky Mountain region. Our rag-tag wine group on Party Bus 1 consisted of an all girls birthday party, two obnoxious bloggers asking a million questions (guilty! ), and couples from Michigan, Indiana, and Ohio. Jim Downs, director of events for the Gatlinburg Convention and Visitors Bureau, explained that more than half of the festival’s tickets were sold to visitors who traveled from outside the state for a chance to explore wines from across Tennessee. Sniff, Swirl, and Sip. The key to a great wine tasting is in these simple directions. Being a huge wine lover, my immediate instinct was to full up my glass and start chugging, but with so many wines to choose from, pacing myself was the definitely the way to go. Sugarland Cellars is a more traditional winery that does a great job educating the customer about wines. This space was the largest of the three, complete with a bar, souvenir shop and event space. Creativity is the name of the game at Gatlinburg Wine Cellar. if you ever wondered what cotton candy would taste like as a wine, this is the place for you. Most diverse of the wineries, GWC had the largest sampling selection and most crazy concoctions served in communion style cups. I like to think they're starting a new wine religion and I volunteer to be the Pope! Although they didn't participate in the wine festival this year, they were one of the most talked about around town. I'll be hosting my own home wine tasting soon since my friends are dying to taste the cotton candy bottles I greedily snapped up. The most casual of the three, Tennessee Homemade Wines is a great place for a laugh with a funny and friendly staff. Being a Georgia girl, I'm partial to anyone with a Georgia peach inspired product and this was another that snatched up happily. I must have swirled my way through a dozen Tennessee wines. But I’m not complaining! Once the fun got going, I was reluctant to leave and head back to the hotel. Saturday was the big day to kick off the main event. The wines we sampled the night before were just a precursor to the number of wines and wineries that would be present during the festival. Held at Arrowmont School of Arts and Crafts, next to Anakeesta, the Saturday event lasted from 1 pm – 6 pm. Check-in for visitors included an id check (must be age 21 and older for a wristband), wine bar and a free wine glass with a necklace holder for sampling. Guests were also able to purchase bottles of Tennessee wine to take home as well as wine-related merchandise like tees, additional glasses, and cheese plates to accompany the wine. In true influencer style, Patrick and I chatted up the locals, took lots of photos and even danced with Zeno the bear. Gatlinburg is such a friendly and open city that it felt like we had always been apart of the community. Despite being a smaller event than those hosted by large Metros like Atlanta and Charlotte, the Gatlinburg Wine Fest was far more communal and fun. I never felt lost in the shuffle or unable to get my glass filled and have one on one conversations with the vendors. Along the way, we met people that came back every year from farther than NC for this event and now I see why.